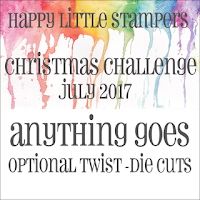 A new month of challenges has started at Happy Little Stampers, and today is day one of the July Christmas Challenge with the theme of Anything Goes with an Optional Twist of Die Cuts. I broke out the October 2016 Hero Arts Monthly Card Kit that has been waiting patiently for some love since I got it. It's full of stamps and dies to create wonderful Christmas scenes. I went for the snow globe and made a shaker card. I used a sentiment from Happy Little Stampers Christmas Joy set to complete my magical Christmas scene. 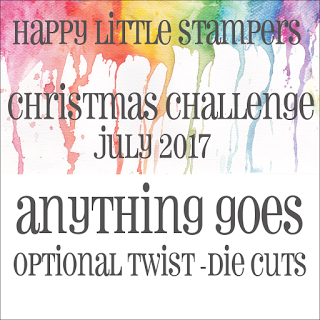 Please head over to the Happy Little Stampers July Christmas Challenge to see what wonderful inspiration the Design Team has for you. Get your Fa La La La La on, create a Christmas project of your own, and share it in the HLS July Christmas Gallery for a chance to win a $20.00 gift voucher to the Happy Little Stampers Store! 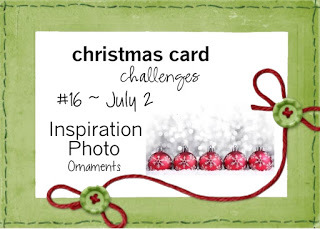 You can check out the challenge details for the Christmas Challenge, and all of the other Happy Little Stampers Challenges HERE. Snow globes were all the rage when I was a wee lassie. They are so facinating even today. Your card is simply beautiful.So Christmasy. Sensational! Looks amazing! Beautifully put together Stephanie, thought it looked special even before I realised it was a shaker too. What a gorgeous scene. Beautifully done. WOW So glad you joined us at Die Cut Divas. Nicely done, very sweet snowglobe! Hi, Stephanie! I love your snowglobe and can really see the big excitement my kids would get from opening this card in the post. Beautiful work. 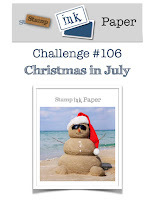 Thanks for sharing it with Stamp, Ink, Paper Challenge. Fantastic snow globe shaker card - just love the scene you created!! What a gorgeous card! I'm kicking myself for not jumping on that Hero Arts kit in time last year! 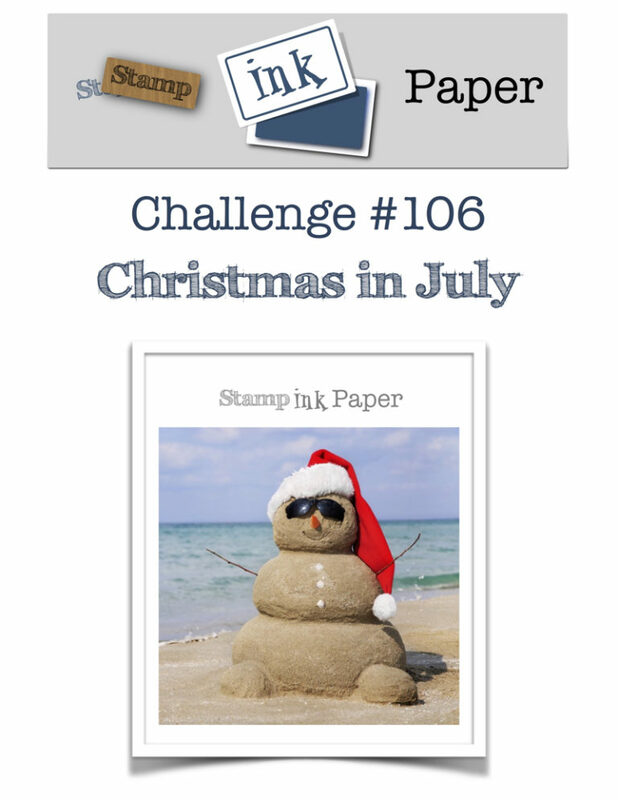 Thanks so much for joining us at Stamp, Ink, Paper for our Christmas in July Challenge! What a fabulous snowglobe, thanks for playing along with us at CCC. What a beautiful scene you made in the snowglobe. Thanks so much for joining us this week at Christmas Card Challenges. 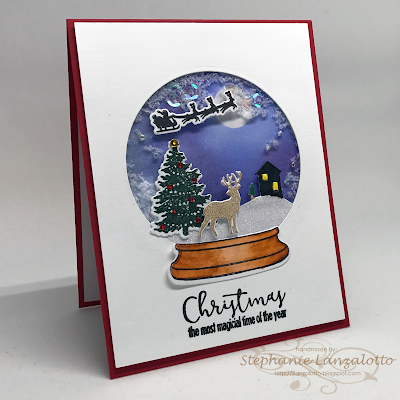 This is such a beautiful scene in the snowglobe, Stephanie! Happy to be part of HLS! I fell in love with this card! Your winter scene is so beautiful. And I love the lights in the windows, like the flames of hope on a winter night. Beautiful symbolism. You've created a beautiful scene here! Very nicely done!